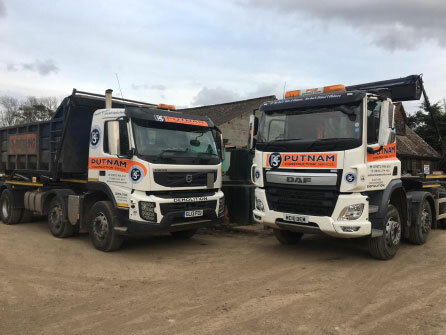 At Putnam Construction Services we have a fleet of tipper trucks for hire. Tipper trucks are designed to make the loading and unloading of large volumes of waste material as quick and easy as possible. Tipper trucks come in various sizes so tell us what quantity of waste material you have to dispose of and we will hire out the appropriate size, no need to hire a tipper truck that is too large and you can only fill part of it. No permits are needed for tipper trucks but we do need to know what kind of waste you will be hiring the tipper truck for. If there is hazardous waste to be disposed of then we need to know. All of our waste is disposed of in an environmentally friendly way. To hire a tipper truck from Putnam Construction Services, all we need is an insurance document showing that you are allowed to drive such a vehicle. We can deliver the truck to you or you can collect from our premises. If you prefer for our team to drive the tipper truck for you then please contact a member of our friendly team who will be able to give you a competitive price. 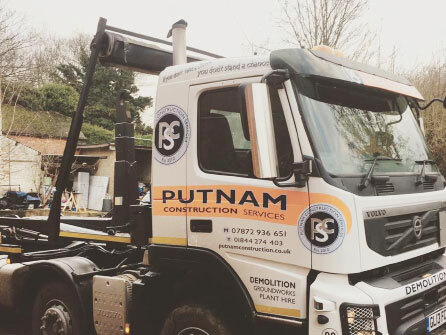 Call Putnam Construction Services today on 0800 999 8700.